One of my ministries here at St Michael’s is helping people which are going through the process of divorce. I’m a marriage advocate for the marriage tribunal of the archdiocese of Baltimore, and I also participate in the St Michael’s Divorce Survivors group. That is a long way of saying I have talked with a lot of people who are in the midst of their divorce. “I never expected this to happen! I was/am in complete shock”. And it seems that the more unexpected their divorce is to them, the more pain and despair they experience and the higher the sense of betrayal, confusion, fear and loss. All these events are like lightning strikes on a clear day. One minute we are happy and content and the next we find ourselves in the middle of a storm. The fact is, in life no one is immune to these experiences. Everyone has one and there is no assurance they will not happen again. 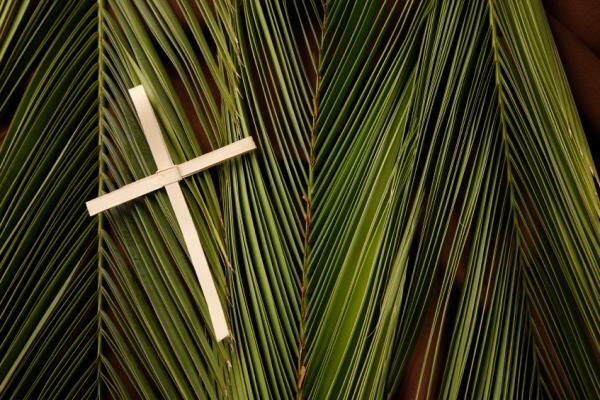 You might be wondering what does all this have to do with Palm Sunday? Well, if you listen to the readings today there is just such a shocking transition in the story. In a matter of minutes we go from Jesus' glorious entrance into Jerusalem to his crucifixion and death. It is as if we are not given time enough to breathe. I wish I could tell you that you will never go through a life shattering experience. The truth is I cannot. The only thing I can say is this. The reason why we are here today celebrating Jesus entrance into Jerusalem. The reason why we celebrate Holy Thursday, Friday, Saturday, and Easter is to remind us that we never suffer alone. God himself suffers with us because he suffered as one of us. And it is because of His suffering we can make sure our suffering is not wasted. How? By seeing our pain in His pain. So, I invite you, during these holy days, to meditate in the sufferings of Christ, and how they reflect your own sufferings. And the hope his death on the cross gives to each one of us. God Bless you. NOTE: This is a paraphrase of what I said during the Palm Sunday mass homily. I tried to keep it short because it is a long mass.